When we stop and consider the condition of and evil in our world, our mind may turn to Revelation in our Bible where God has laid out his plan of events when our Savior returns to this earth and takes us home. 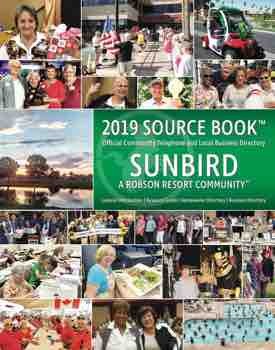 Are you aware that the SunBird summer church supports 13 charities? Our church has initiated a prayer chain available for all who have a request. If you need group prayer for any issue, call Julie Hartog at 480-805-2622 or by email at www.Jihartog@gmai.com. Or you may speak to Jamie Morgan at 480-8027348 or www.jamie@sammdata.com. SunBird Community Church is non-denominational and based on the Bible. Our members invite you to visit us any Sunday at 9:00 a.m. in the SunBird Ballroom. There you will meet a friendly congregation and hear an uplifting message by an experienced minister. There is always room for you. May we count on you?